Joey Bada$$ VS Isaiah Rashad – who’s the realest? With the rise in the Beast Coast movement happening on the East Coast with the likes of Flatbash ZOMBiES, The Underacheivers and Pro Era all flourishing there’s been an undeniable growing in Pro Era’s founder and biggest rapper, Joey Bada$$’ fan base. But, when comparing Joey Bada$$ to other rising rappers today, what makes him different? Many people could say that it’s his flow that sets him apart from the generic rap being produced by many 90s baby rappers right now while many people argue and say that it’s not his flow that he’s loved for but the content of his music that makes him different from the pretentious, bubblegum rap being rapped about today. He raps about the harsh reality of the world of today for dreamers and the struggles he’s faced in terms of losing close friends and being raised in the midst of the rough city life. After first listening to ‘Unorthodox, I stand on the fence and say that it’s a combination of his smooth flow, and thought-provoking concepts accompanied by his deadly wordplay that sets him apart from not just other Beast Coast or Pro Era rappers but other rappers on the rise in the US. Joey Bada$$ has influenced other younger rappers such as Bishop Nehru that raps with a similar flow which is also similar to the one that made people title Biggie as “ahead of his time” that’s now being made famous again. Bada$$’ flow can range from anything mellow that you can vibe to alone at home or in the car with a track like ‘Daily Routine’ to anything hyped up such as ‘Big Dusty’ that makes you want to rap along. Because Joey Bada$$ is so young, for me it’s difficult to compare the content of his rap to older rappers like Isaiah Rashad or J. Cole that, although similar in many ways, have huge differences in what they’re known for – their flow being one of the things. Apart from being from different coasts which affects almost everything about a rapper, Joey Bada$$ is not signed to a major label which also makes his rise and success unique. Isaiah, one of the most recent Top Dawg Entertainment signees also, like Joey Bada$$, shows his difference from other emerging rappers especially those from his region through his beats. Isaiah uses a lot of samples from old school R&B tracks, from artist such as Erykah Badu on the regular, which isn’t heard too often today. Weed, girls, a slightly hood upbringing and money are some of the common things Isaiah raps about. His content can be similar to Kendrick’s which doesn’t make him too different in that sense but his unique delivery is, in my opinion, what makes him stand out and is something that isn’t too common (from rappers not apart of TDE at least). I started listening to Isaiah last year after hearing ‘Ronnie Drake’ which features SZA and from the first line he catches the listener’s attention because of his unique delivery. In ‘Ronnie Drake’ Isaiah hits some dope flows (especially in his second verse) which made me get even more interested in exactly what this beast of a rapper is capable of. Although his content isn’t too different, I’d say it’s his flow and delivery that make the things that he’s rapping about interesting. On songs like ‘Modest’ with a catchy hook that probably every Isaiah Rashad fan would claim as their favourite hook (along with the R.I.P. Kevin Miller one), Isaiah raps about pretty much the same thing every other West Coast or East Coast rapper raps about but it’s his flow that makes the track special. When putting him up against Joey Bada$$, they’re very different and are loved for different things. They both have killer flows. Content wise, I’d say Joey is a lot more original than Isaiah in that he’s not necessarily rapping about getting high and making money but things more relatable to a younger audience that can understand him. Isaiah tries being conscious sometimes but like he says, “Being conscious doesn’t bring any money unless you’re Common.” Joey’s wordplay isn’t comparable to Isaiah, it’s that good. 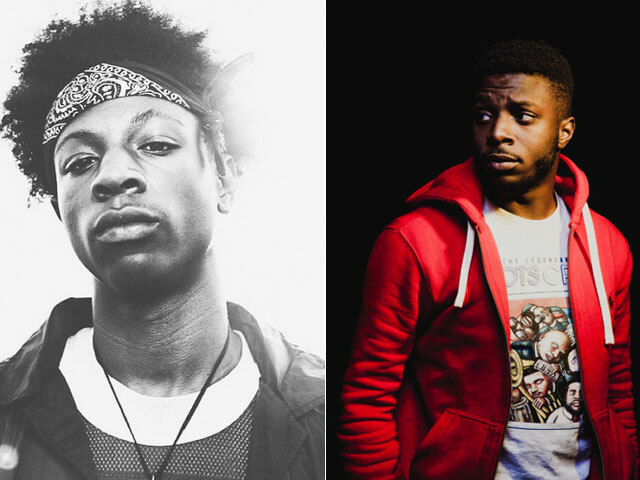 An Isaiah Rashad and Joey Bada$$ rap battle could be a really exciting one. Who is the doper rapper – let us know? Are Record Labels Necessary in 2015? #BoxingDay: AKA VS Cassper – who’s the better MC?